The Qseven® Carrier Board CQ7-A42 is a full featured carrier board for Qseven® Rel. 2.0 compliant CPU modules, in 3.5” form factor. This carrier board can be used with any Qseven® Rel. 2.0 compliant module without incompatibilities and/or loss of functionalities. 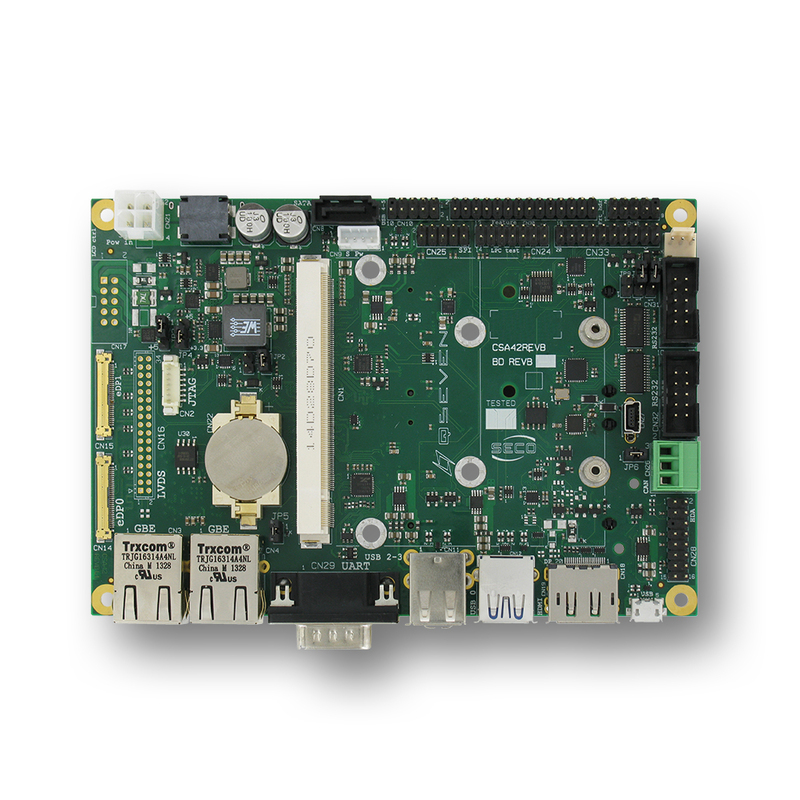 The board has been specifically designed for taking advantage of all possible features that can be offered by x86 and/or ARM architectures on Qseven® modules. CQ7-A42 has been developed most of all as a development board to explore the possibilities offered by Qseven® modules, but it could also be a good solution for low volumes production for companies that do not want or need to develop customised carrier board.